In 2015, a work zone car accident happened about every 5.5 minutes across the country, on average. Nearly 700 people died in these accidents. Most often, crashes happen when people hit stationary objects. Many people believe that the people most at risk in work zones are roadway and construction workers. Statistically, this is not the case. Drivers and passengers in vehicles are the most likely to experience a fatality. While the workers on the side of the road are certainly in harm’s way when it comes to reckless drivers, it is the people in the vehicles themselves who are in the most danger. As Atlanta personal injury attorneys, we have represented victims injured in work zone collisions. We understand the causes of the majority of these accidents and have used what we know to offer you some tips for keeping you and your family safe. Try to remember these tips the next time you encounter a work zone while traveling down the road. You will see speed limit signs before you come to the work zone. These speeds are often reduced when compared to the limit on the rest of the roadway. The limits aren’t suggestions. Driving at slower speeds means that you have more time to stop if you need to. It also means that any collisions that occur may not be as severe as they would if you were traveling at higher speeds. Approaching a work zone is no time to be distracted. Stay alert and watch for road signs that tell you what to do. You may see signs that tell you to move over or signs that tell you to maintain your lane. Signs may be worded or simply lighted arrows. No matter what form the signs take, be sure you are looking for them and following their instructions. There is perhaps nothing more annoying to other drivers, not to mention dangerous, than the person who speeds past slow moving vehicles despite seeing signs to merge ahead and tries to cut in at the last minute. These directions are provided in plenty of time for drivers to move over safely. Start attempting to merge as soon as you see the signs that indicate you need to do so. Be prepared for other people to make mistakes. Keep a decent amount of distance between your vehicle and any traffic barriers. If you notice someone driving erratically, keep your eyes on them and get ready to react appropriately. If you know that there is a work zone along your commute, be prepared for delays and leave earlier. If you’re going to be running into one on your way home, know that you may get home late. Practice patience while driving. You may want to look for an alternate route depending on how long the delays are. 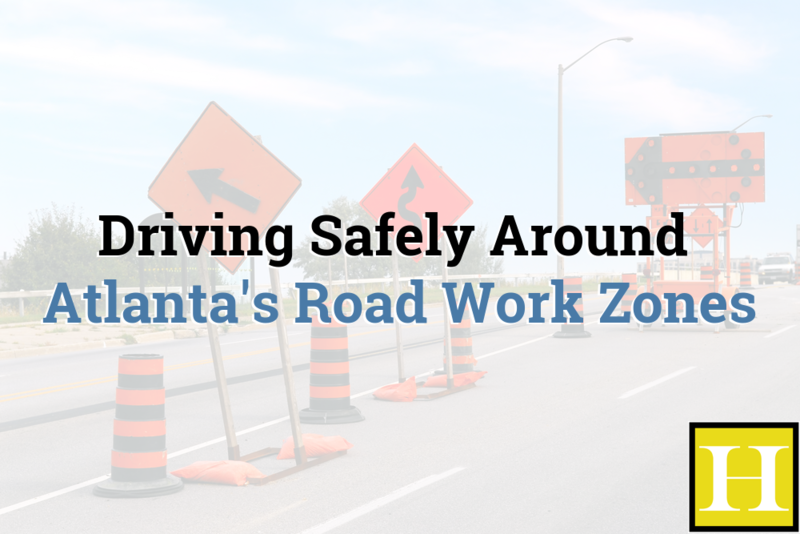 If you are involved in an accident in a work zone, you need an Atlanta personal injury lawyer. Reach out to our office today to schedule an appointment for a free case evaluation.